The brilliant underwater beauty of the Caribbean is just a stone’s throw from shore, the beauty lying beneath has made Ambergris Caye Belize’s top dive destination. And a must experience within the Caribbean realm. 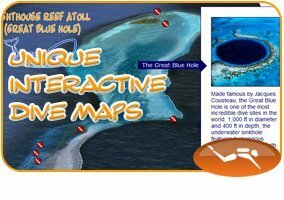 Only a short 5-10 minute cruise from the Ambergris Divers pier takes you to multiple dive sites just beyond the reef crest, sites closely held by our local experts. On this tour, you will experience depths of 60-80 feet, starting off a 40 foot gorgonian plain into a vivid terrain of fleshy boulder and pillar coral formations, amongst waving sea fans, sea rods and impressive sponges. Glide over the spur and groove canyon formations while watching busily scurrying fish and trying to spot the more elusive marine species. Hanging around typically in these areas are large groupers, nurse sharks, gliding eagle rays and turtles. 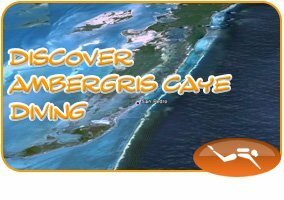 The Ambergris Divers team will share with you local secrets to the most stimulating and memorable dive spots around the island. 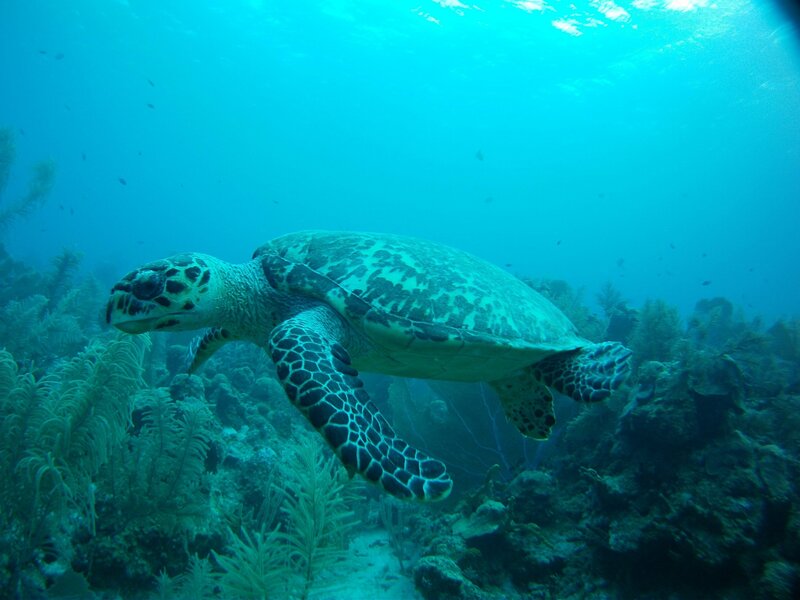 Perfect for beginners, enjoy one, two, or three full tanks on this underwater tour of Belize with surface intervals onshore. Dive Certification Required. This tour is available daily. All diving includes tanks, weights, belts, and refreshments. Dive Gear Rentals are available +fee applies. All services are subject to 12.5% GSTax. 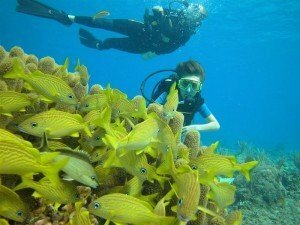 Day Pkg: 2 Tank Dive Trip Price: $90.00 usd Incl: tanks/weights. Tax. Day Pkg:3 Tank Dive Trip Price: $125.00 usd Incl: tanks/weights. Tax. A one day pkg, may not be split over multiple days.